It is quite obvious that if an individual is a SQL server administrator then, his / her life is not going to be bug-free. There are many situations where administrators face several challenges while working on the server. One such nightmare condition is SQL Server page level corruption. This situation is equivalent to a scary dream because this corruption in the sever jeopardizes all essential data stored on the server. When corruption occurs, the data goes into an inaccessible state and leads to the obstruction of ongoing workflow. At any instant, a situation might occur where users find corruption in the SQL database. Well, the most important part is detection of this corruption at its early stage and fixing it immediately. 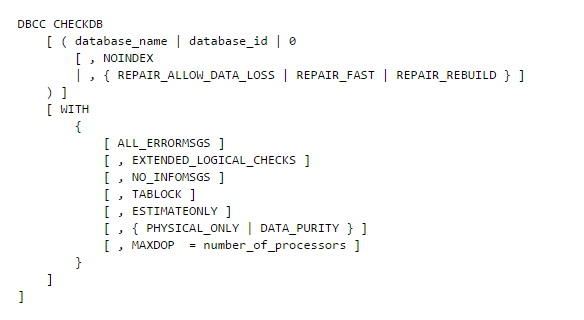 So, here we are going to discuss causes and measures on how to repair SQL Server database page level corruption. The basic storage unit in the SQL server database is page where all the information is saved in form of pages. Users might be knowing that there are 2 types of the SQL server database files i.e., MDF and NDF. Basically, LDF and MDF files are separated into bundled of pages and every single page is having its own server location. Whenever the SQL server corruption occurs, each page starts getting tainted. Instead of dealing with entire file at once, it is easy to solve the problem manually by fixing pages one-by-one. Hardware malfunction can be the cause of problem. One should regularly monitor the server box, hard disk, and other PC components for avoiding this issue. Verify that the server power supply is regulated. When database is in running state and suddenly power supply issue occurs, at this instant all this leads to SQL Server database page level corruption. Whenever you are downloading a new software, consciously check that setup file is not infected with any kind of virus or malware. Installation of irrelevant updates or applications leads to corruption in the SQL database page level. There are few chances of a situation where the server itself will be unable to diagnose itself. Unfortunately, there is nothing to do with this still it is advisable to administrators that they should periodically check database functionality. 8. Fix the corrupted page and then, execute the DBCC CHECKDB command on the restored file. If each and every step is executed in a correct way then, there will be no anomalies in the regained file. If several paths or a huge area is damaged then, other pages might get infected. This will restrict the server from opening the file. Making changes directly in the file is fault-prone. This may lead to errors related to input/output at the time of opening database. Highly certified knowledge about the SQL server is needed to execute procedure without any complications. We hope that we resolved your query i.e., How to repair SQL Server page level corruption? Talking about a relevant approach then, it is dependent upon the knowledge of the server and the person who is resolving issue.